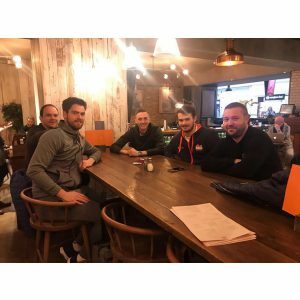 We are excited to follow Paul and the England Team’s progress ‘down under’ and to this end we have pulled together Paul’s updates from the travels and training so far! Starting with an intense training week in China, to the preparation camp in Brisbane, on to the athlete’s village at the games and the opening ceremony – best of luck to the England Teams! What a squad, love these guys! We’re having a quick stop off at Amsterdam on our way to China for a weeks intense training before we head out down under to Brisbane and the Team England Holding Camp for the Commonwealth Games. 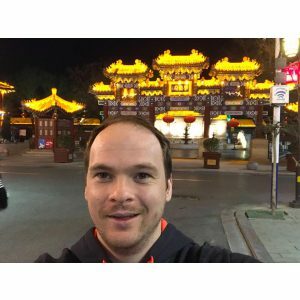 When we are doing the hard yards in the gym you could be anywhere in the world… but in this picture you could only be in beautiful China, the land of Dragons and Emperors! So I’m here on the Gold Coast in the athletes village, the calm before the storm of the Commonwealth Games! 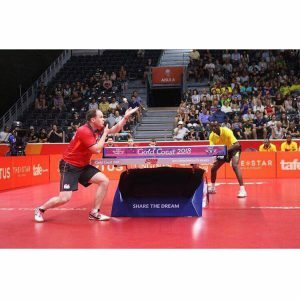 It seems that no matter how many times you’re lucky enough to be involved with these big multi sport events, the buzz never goes away – there’s a very different feeling about them to the normal table tennis events such as the European or World Championships. At the last games, as a team we won a silver medal after losing to a strong Singapore team in the final, and myself and my wife Jo won a gold massive in the mixed doubles which obviously for us was a highlight, it takes centre stage on our family photo wall – to win a gold medal at the games was incredible, to do it alongside your wife was the icing on the cake! 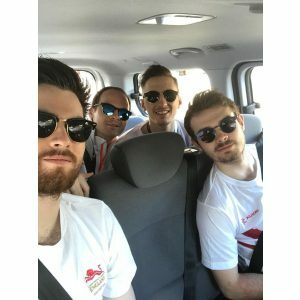 Jo isn’t here this time so we won’t be defending our title, but me and the men’s team will 100% be going for gold together, there’s a strong belief we can do it, our team spirit is great and we are amongst the favourites – bring it on! Our preperation has been great. 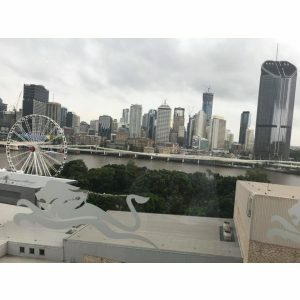 We had a weeks intense training in China, then we flew to Brisbane to the team England holding camp – one of the big things, believe it or not, is getting used to the time difference. It takes a while to adjust even after all these years of travelling and competing. Today I woke up early at around 7:00am as normal, we had breakfast as a team and then jumped on the bus to the hall to do some training for a couple of hours; it’s important to not play too much before a big event, which is easy to do when you’re hitting the ball well. We did two hours practice – some regular and irregular footwork exercises, but mostly starting with a service to simulate a real match situation. We did some multi ball and then played matches amongst us, I feel sharp and the other boys look it too; we also did a really good warm down with our team physio, things like that are key in being as fresh and in shape as possible at these events, as they can be long drawn out tournaments which can take a toll physically. It’s time to relax, try to get used to being in the athletes village and rest up before some more preperation tomorrow – I’ll keep you posted on how I’m doing! 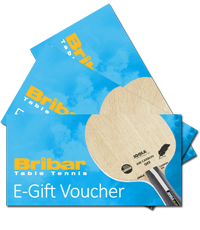 Here’s a quick bit of footage of me preparing for the Commonwealth Games in the practice hall with some multiball – there’s nothing better for getting you well and truly sharpened up! Now I’m looking forward to the opening ceremony! It’s been a successful first day of competition here at the Gold Coast in the Commonwealth Games! We started in our group against Ghana, I was first up against Derek Abrefa (WR 278) and played quite well for a first match to win 3-0. It’s always a tricky one in the first game, I’m lucky enough to have a lot of these matches under my belt at the Commonwealth Games but it’s important whoever you play that you concentrate on feeling your way into the match and trying to find some flow and consistency – it’s the best tactic for that particular game and also with us having one eye on later in the competition! Liam was next up against Felix Lartey and also managed the 3-0 win, to be honest he looked fairly comfortable throughout; myself and Sam then finished the match with a 3-0 doubles win – job done, time to get back to the village for some lunch and a quick 30 minute nap before this evenings game. 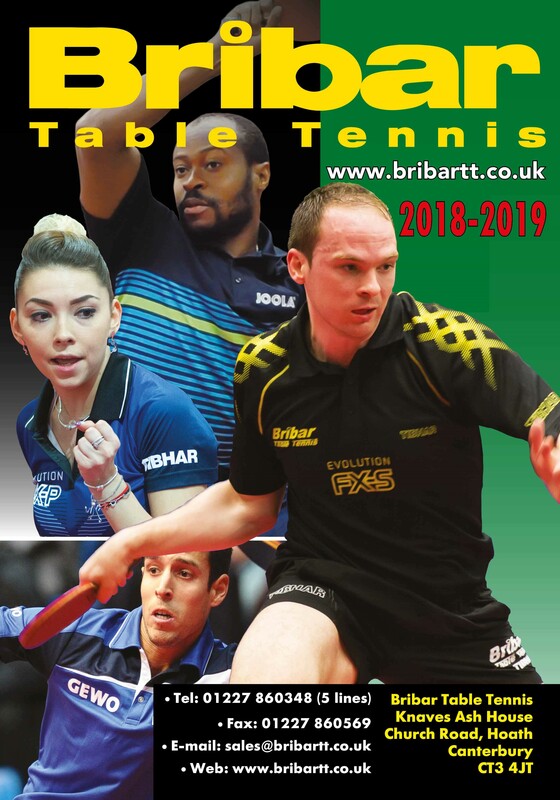 This evenings match was against Guyana, and myself and Liam were both rested in the singles which gave David and Sam chance to get into the competition with some singles matches; they both played well to win 3-0 and then myself and Sam closed the doubles out comfortably 3-0 as well. The victories put is into the quarter finals on Sunday, we’ll be watching the matches tomorrow to see who wins and then the draw will be done and the business end of the team event will really get going. Tonight the plans are to relax, relax and then relax again – it’s important to keep resting up at these events, staying fresh is so important… and we’ll be looking forward to the big game on Saturday!